Argan Stem Cell was developed to improve the regenerative capacity of dermal stem cells thereby achieving deep-seated rejuvenation of the skin. This active ingredient is based on stem cells of the Argan tree, one of the oldest tree species in the world. 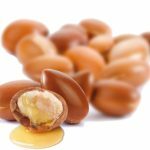 The argan tree is indigenous to the arid southwest of Morocco and has adapted perfectly to intense drought and extremely high temperatures, which are typical in this region.